Forgot to post this image of the "Tonight Show" host, Jay Leno, with his broken down 1963 Porsche on Mulholland Drive a couple of weeks ago. 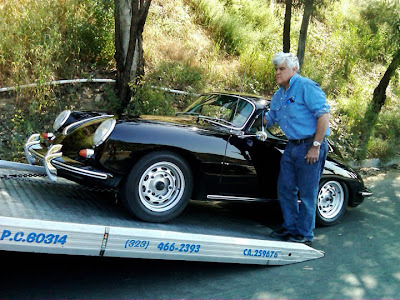 Was riding my bicycle with my bike club, The L.A. Wheelmen, when we came across Jay and his Porsche. He told me his fuel pump gave out.